Pictured here is one of the caves in which Saint Jerome spent over 30 years of his life, carefully pouring over the Sacred Scriptures, and creating what would become arguably one of the most important writings in the history of the world: the Latin Vulgate. 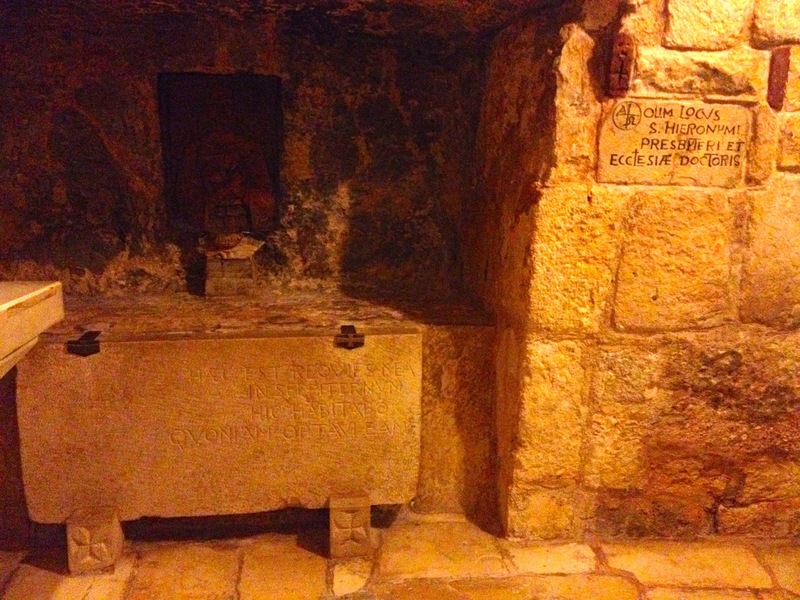 Accessible through a side stairway leading down from the Church of Saint Catherine of Alexandria in Bethlehem, this set of caves is connected to the very same cave in which Christ was born, only a stones throw away. Prime real estate for a man who wanted nothing more than to pour over the Word of God. He was a brilliant and devoted child of God and scholar of the Scriptures. And he was known to have been very critical. Indeed God uses flawed instruments to do great things. Today we praise the Lord for Saint Jerome, and we ask for a deep love of the Holy Word of God. This entry was posted in At Random and tagged Saint Jerome. Bookmark the permalink.